Are They Lining Up Already? This morning, there may have been only be 27 more days until the polls actually open and all of the Dumbed Down D-RATS can finally cast their ballots in Cincinnati’s DemocRAT City Clowncil and Mayoral Elections, but all those Dishonest DemocRAT Vote Frauders who can’t wait to vote to get their free stuff can Vote Early in Person at their local Board of Elections for the November 7 General Election beginning at 8AM on this morning. 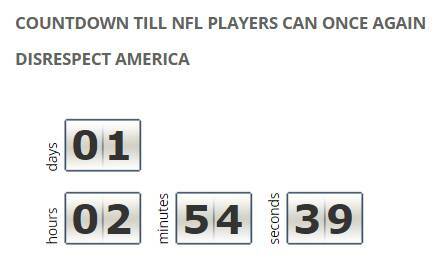 The Blower would’ve already been counting down the days, hours, minutes, and seconds until the doors opened at the Hamilton County Board of Elections, but the counter at the lower right hand corner of the Whistleblower Web Page was currently being used to click off the moments until those Tattooed Millionaires can once again disrespect America during the National Anthem on Thursday Night Football. 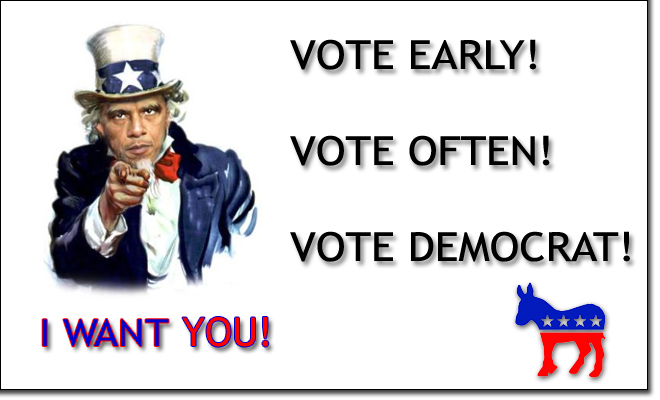 Bluegrass Bureau Chief reports Ken CamBoo there’s no such thing as “Early Voting” in Kentucky. 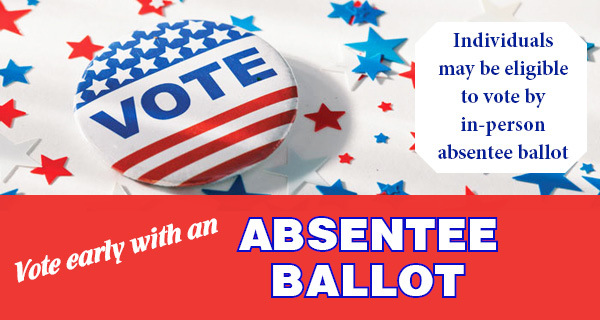 They only have “Absentee Voting.” And to get an Absentee Ballot, voters have to write or go to the County Clerk’s Office and apply for one. And applicants must actually state a valid reason, under oath, why they can’t vote on Election Day like everyone else. 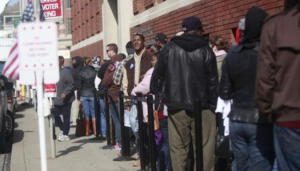 It’s not like Ohio where anybody can “vote early and often” just because people like Hamilton County Demo-Labor Party Boss Tim Burka, Free-Stuff Dispensing Liberals, Rhyming Reverends, and Union Goons tell you to. And just think, if all those Dumbed-Down, Self-Absorbed, Media-Influenced, Celebrity-Obsessed, Politically-Correct, Uninformed, Short-Attention-Span, Free-Stuff Grabbing, Low-Information Obama Supporters Who Put The Positively Worst President in History In The White House—Twice, And Planned To Give Obama a Third Term By Voting For Crooked Hillary, and get all of their “fake news” from our Obama Supporters in the Press, like the ones at The Fishwrap, and on Channel 5, 9, 12, and 19, actually showed up today at the old Board of Elections downtown instead of the new location on Smith Road in Norwood, wherever the hell that is, those Doofus Dems would still be having one hell of a long wait. This entry was posted in Uncategorized and tagged Cincinnati’s DemocRAT City Clowncil and Mayoral Elections, Donald Trump, Early voting in Kentucky, Early voting in Ohio, FREE Stuff, Hamilton County Board of Election, Tattooed Millionaires, Thursday Night Football, Whistleblower Web Page on October 11, 2017 by charlesfosterkane.